Joe graduated from Trenton State College in 1978 with a Bachelor of Science degree. 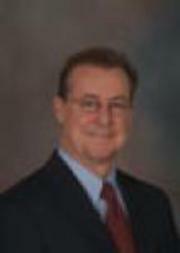 In 1980 he received his salesperson’s license and five years later, he became a Broker Associate. In 1986 Joe attended the Real Estate Institute at NYU. After acceptance into the nationally recognized Certified Real Estate Brokerage Managers Council in 1994, he completed coursework in strategic planning and marketing, in addition to training sales associates in order to better serve the needs of OPR and its clients. Joe earned the prestigious Council of Real Estate Brokerage Managers (CRB) designation in 1998-the highest award real estate brokerage managers can attain. In 2007 he received the coveted NJAR Distinguished Sales Club Award in recognition of achieving the Real Estate Million Dollar Sales Club Award for 10 or more years. Joe is also a member of NJAR's esteemed Quarter Century Club. Joe was raised in Manasquan and currently resides in Brielle with his wife Nancy. He has three sons: Sean, Alex, and Michael. He is an active member of his community, serving on the advisory board of the Academy of Finance at Manasquan High School. When you think real estate, Think Riordan!